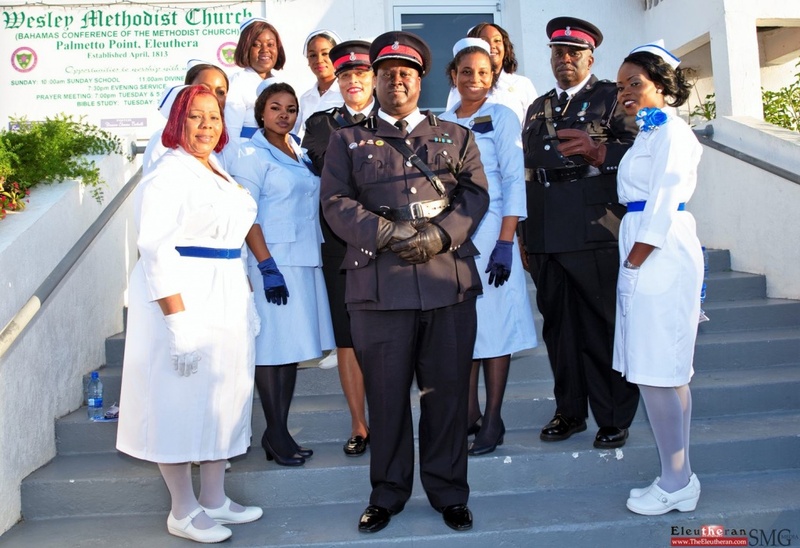 (Palmetto Point, Eleuthera, The Bahamas) The Eleuthera Division of the Royal Bahamas Police Force (RBPF), held their annual church service on Sunday, January 27th, 2019. The event this year was hosted at the Wesley Methodist Church in Palmetto Point, Central Eleuthera, moderated by Pastor Orlando Thompson. All uniformed agencies on island were in attendance, including the Police, Customs, Immigration, Road Traffic, Airport Authority, Medical Personnel, as well as other public servants and as a special treat to everyone who came out, the Royal Bahamas Police Force band was also on the program – to the delight of the audience. Remarks were brought by Mr. Hank Johnson, MP for Central and South Eleuthera, who most notably, promised that he would encourage his government to continue investing in the needs of the RBPF on island, and that they had his full support. Rev. Lee Carl Sands, President of the Eleuthera Christian Council also gave brief remarks and he was joined by a cadre of his colleagues in ministry in the audience. Host Pastor Mrs. Elmena Bethell presented the main message during the service, which centered around the theme of the officers being ‘servant leaders’, always keeping those around them in mind, not lording their authority, but working to rebuild, revive and renew as they helped to bring justice to the nation. She also reminded them that their service was vital even when unappreciated. Having been appointed by God in their positions, she exhorted them to show love and mercy in their daily lives. Assistant Commissioner of Police (ACP), and former OIC of the Eleuthera Division, Theophilus Cunningham, joined by ACP Clarence Reckley, current OIC Family Island Districts were also in attendance, representing the Commissioner of Police, during the annual ceremony. ACP Reckley brought special greetings, and made a presentation to the host Pastor and speaker Mrs. Elmena Bethell, following her powerful message. All of the top brass within the Eleuthera Division of the RBPF were also in attendance, led by Chief Superintendent Stephen Adderley, including; Superintendent Frederick Sands, ASP Lawrence Adderley, ASP Frank Neely, ASP Nigel Rolle, Reserve executives, as well as division Inspectors, Sergeants, Corporals, and Constables. During the service, a ‘Presentation of Colours and Police Standards’ was conducted, and Officers fallen from the ranks during 2018 were announced and solemnly remembered. Music in a variety of engaging forms was a powerful part of the afternoon program, which brought together members of the community with serving officers, from lustily sung audience hymns accompanied by melodious instrumentation, to a heartfelt solo selection, and a number of choir renditions, as well as instrumental pieces performed by the RBPF band. 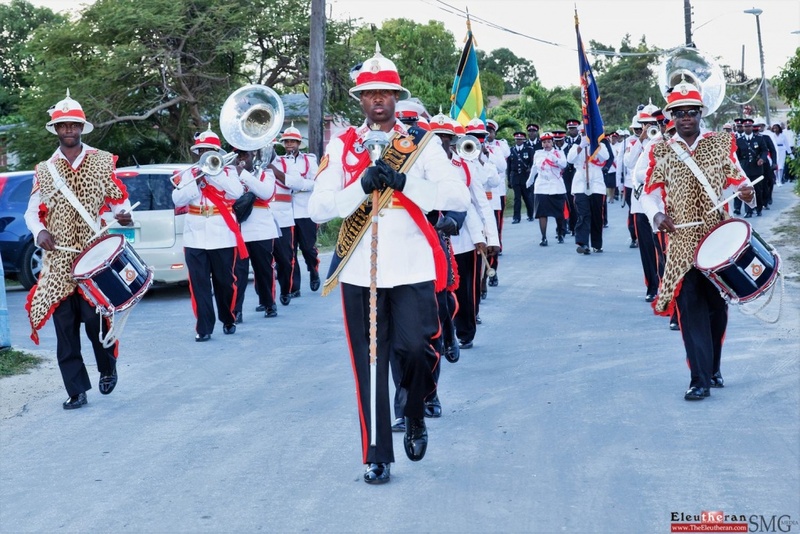 The uniformed officers, led by the melodious Royal Bahamas Police Force band, formed a colourful parade from the church through the heart of north Palmetto Point, following the church service, with attendees marching energetically behind, to the beat. Click here to see full photo display gallery. Top RBPF executives including, (L-R) ASP Lawrence Adderley, Supt. Frederick Sands, Ch./Supt. 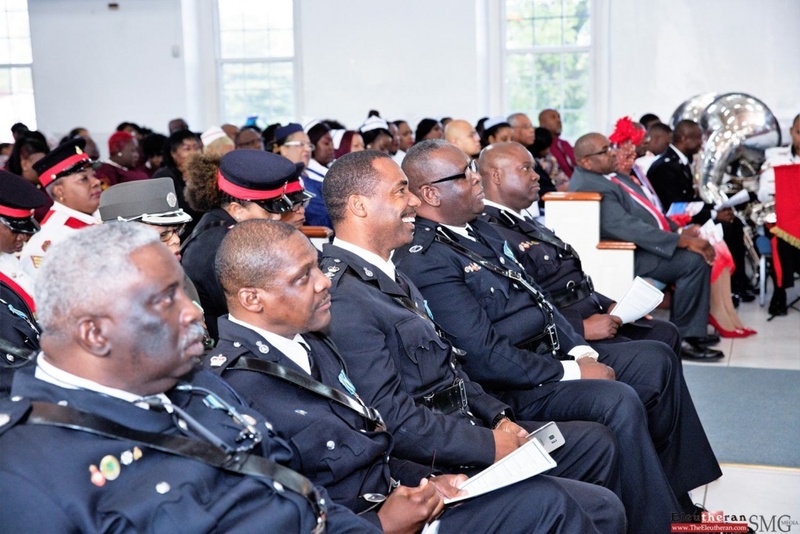 Stephen Adderley, ACP Clarence Reckley, and ACP Theophilus Cunningham, were all in attendance at the Annual Police church service, joined by a number of RBPF colleagues in the Eleuthera Division, and other uniformed agencies. 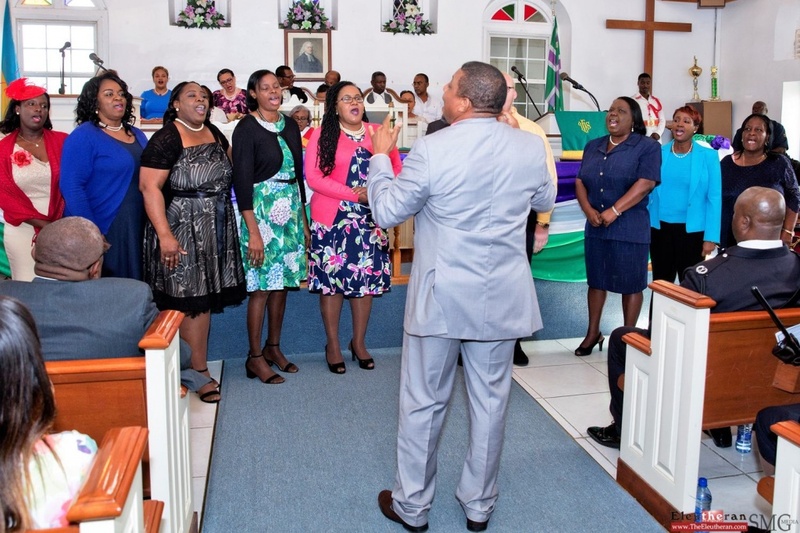 Voices of multiple choirs rang out during the ceremony, from Global Outreach Ministries, and Wesley Methodist Palmetto Point and Governor’s Harbour. Medical staff were also in attendance at the RBPF Annual church service.